What’s better than chocolate chip cookies? Well, a brownie baked inside. That’s right, a brownie baked inside. First, I made the brownies. 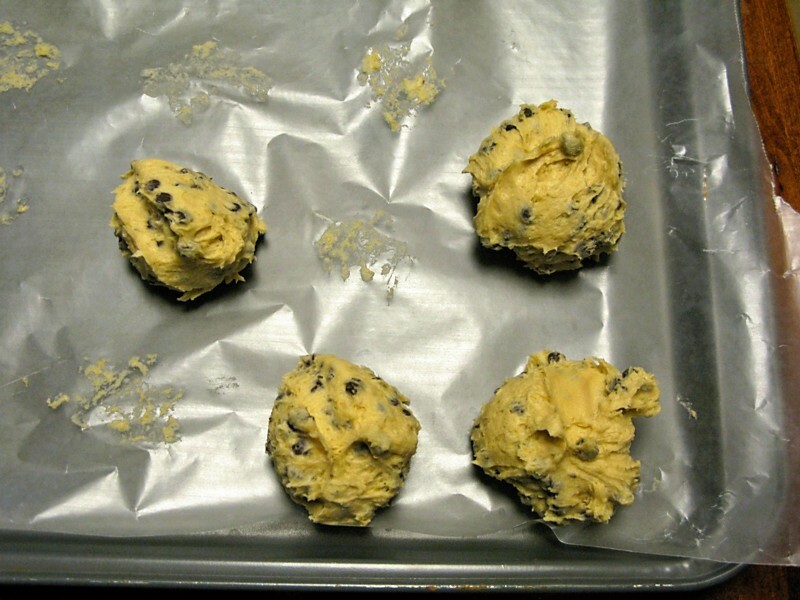 Then, I prepared the cookie dough and set it in the fridge to harden. I used an ice cream scoop to measure the size of the cookie dough. In the original recipe, it calls for more dough, making the cookies gigantic, but since these aren’t something that I really want to share, a smaller size worked out better. I pressed about a tablespoon of brownies in the center of the cookie dough, then covered it completely before putting it on the baking sheet. After they came out, I transferred them to a cooling rack to cool completely…although eating these guys right out of the oven is just downright magical. This is the perfect recipe when you can’t decide between cookies or brownies…let’s just have both! I agree. When the brownies are cooled, use a tablespoon to measure out amounts to be placed in cookies, Beat the butter and sugar together until light and fluffy. Beat in the eggs and egg yolk, one at a time, until combined. Stir in the flour, baking powder, salt and baking soda. Stir in the chocolate chips. Using the amount of dough from an ice cream scoop, wrap it around the brownie square. 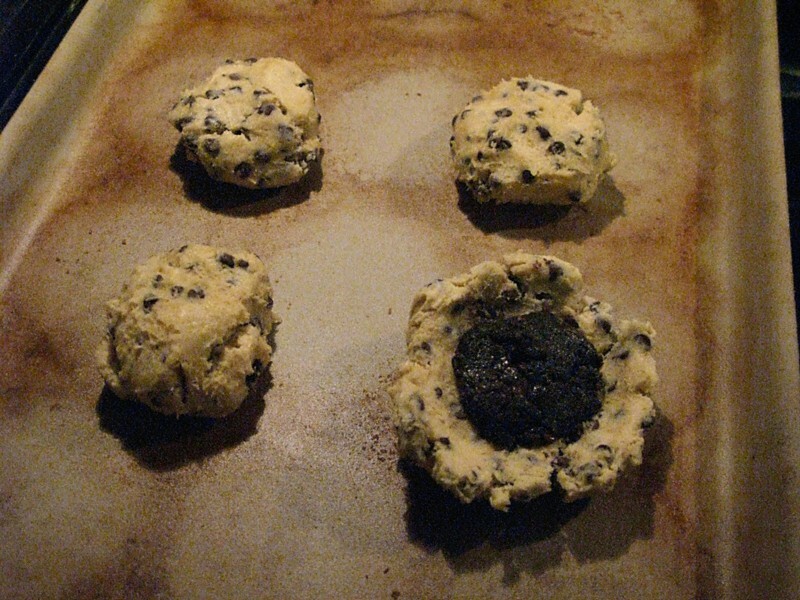 Place on a parchment-paper lined baking sheet. Do not bake more than 6 cookies at a time. Bake at 350 F for about 16 minutes, or until lightly browned. 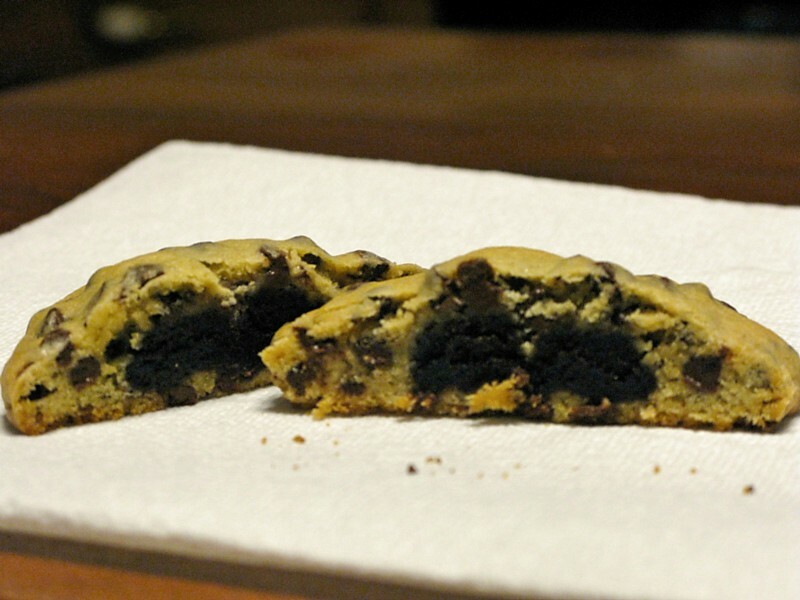 Altering the size of the cookies ultimately alters the baking time. In my oven, 16 minutes on the baking stone was the perfect length of time for the cookies.